* different prices on public holidays, Advent weekends and New Year´s Eve! Please note the Semper Opera is closed from 15.07.2019 - 30.08.2019 because of theater holidays. Discovering Germany without visiting Dresden is a big mistake. The puzzle is only complete with the residential city of Dresden. Enjoy your weekend getaway in Dresden and an outstanding performance at the Semper Opera Dresden. Take a walk through the town's historical centre or take a ride with one of the red city tour double-decker busses. Learn more about the breathtaking beauty of the baroque historical monuments such as the Zwinger, the Brühl Terrace and the Frauenkirche (Church of Our Lady). It is a bit like a time travel. Surrender to the enchantment of the breathtaking beauty of Dresden. The city tour provides an perfect overview of the cultural highlights of the baroque residential city. You probably want to visit the many famous museums, exhibitions and monuments? Please choose your favourite place and make it your personal magical piece of Dresden. You can also buy tickets for the historic Green Vault (surcharge 17,- € per person). 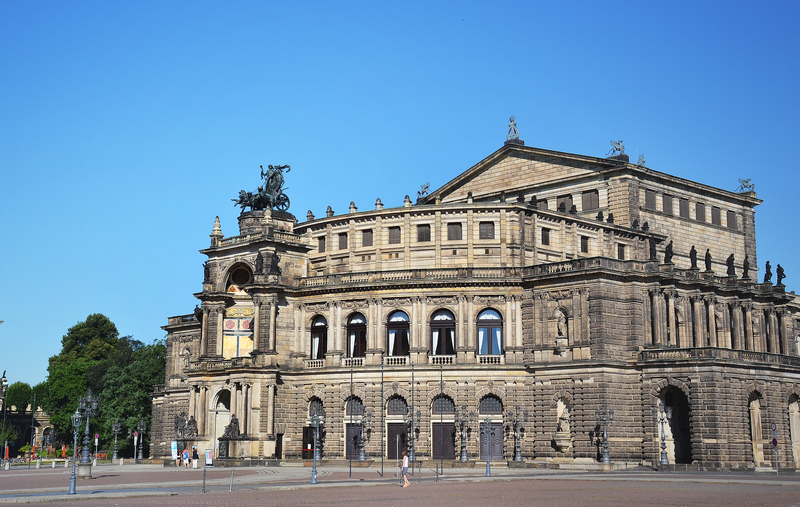 Following the first exploring of the city of Dresden, day 2 is leading up to the absolute highlight of your stay in Dresden: Enjoy at famous Semper Opera House an opera or a ballet performance. Before you get a delicious 2-course menu served in one of the most beautiful vault restaurants. On request, we would be glad to arrange for you a trip to the surroundings of Dresden. Following the delicious breakfast you can start your journey home - or extend your stay. Check-Out should be finished until 11 am. ja Our quarterly, free newsletter will inform you exclusively about the most important classical music highlights of the year! Given the availability of the requested cards, I ask for a binding order. Please send me your confirmation / invoice by e-mail. Please check the availability and provide me with a concrete offer.